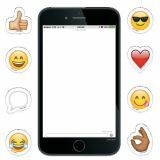 This Emoji Rewards Border features smiling emoji faces, speech bubbles, and positive phrases to encourage students in social media style. 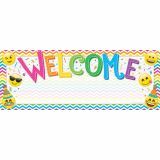 This colorful border will brighten any classroom bulletin board or display especially those highlighting student work and special accomplishments. 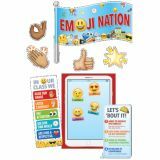 These Emoji Smartphone 6" Cut-Outs are simple but fun cut-outs for a variety of uses! 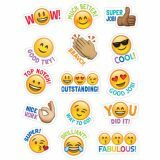 This set includes black, realistic-looking smartphones and 288 bonus emoji accents (thumbs up, smiley face, speech bubble, laughing w/ crying eyes, sunglasses, heart, silly face with tongue, OK sign). 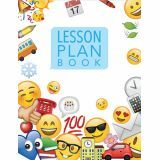 The cute 1" emoji accents can be used like a "sticker" to add expression, feeling, and charm to bulletin boards, student projects, class books, name plates, incentive charts, and more. 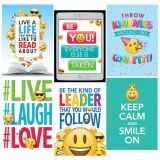 They can also be given out as incentive tokens or classroom "bucks" for good behavior, positive attitude, following directions and achievements. 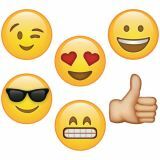 Students can collect, trade or redeem tokens for rewards or special privileges. 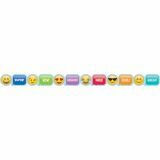 36 student smartphones, approximately 3" x 5½"
288 emoji accents, approximately 1" x 1"
Emojis are so simple, but so fun! 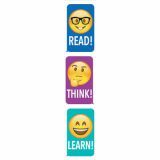 Students will love these Emoji Fun Stickers! 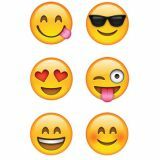 The fun faces and silly smiles will encourage children with social media style. 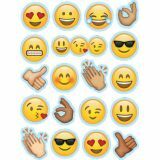 Pack also includes thumbs up, clapping hands, and a hand showing the "o.k." sign. 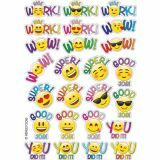 Teachers and parents have been using our stickers as incentives to motivate and reward children for decades. 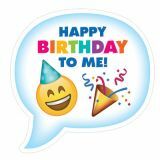 Being rewarded for a job well done, chores completed, a good grade, or even a good effort makes children feel proud of themselves and believe that their accomplishment (no matter how small) was important. 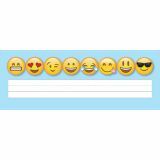 Trim your bulletin board in style with this Mini Emojis Border! 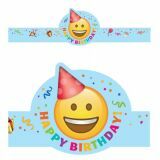 These happy emoji faces will brighten ANY bulletin board with their clever smiles, charming eyes, toothy grins, and sunny expressions. 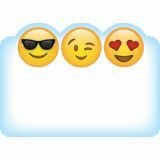 From young to old, everyone loves emojis! 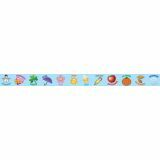 Write-on/ wipe-off� heavy duty washable all poly banner, no lamination required. 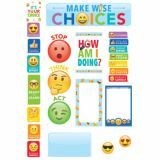 Use with dry erase, water based markers and washable crayons. 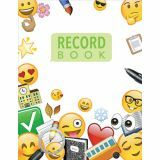 Great for writing messages & notes to the class. 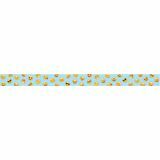 Large 9" x 24" size.